After releasing JIO sim cards,Mukesh Ambani created a revolution on Internet world.As we all know JIO only works on 4G devices. To overcome this exploit Mukesh Ambani released JioFi,a portable wifi hotspot device which help non-4G user to get benefits of Jio. 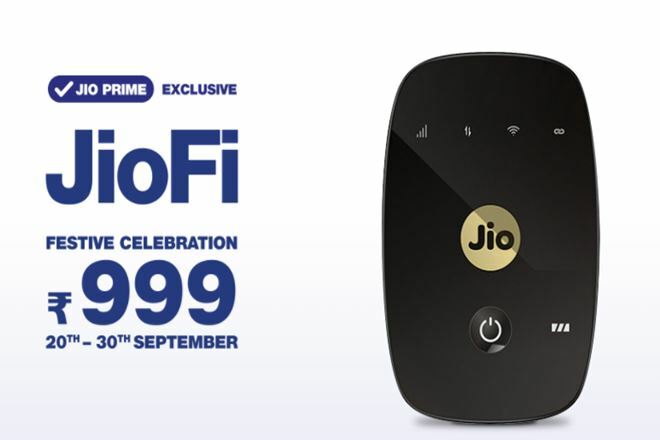 The price of JioFi is ₹1999,but now they are giving a festive offer which slashes price by 50% and now you can grab JioFi @999. This offer started from 20th September and will be continued till 30th September.